Everything we create in our workshop in Germany is very precisely done and comes with a very high standard in quality. Our Products are created to last for a long time. There is lifeblood inside - otherwise it won't leave our shop! 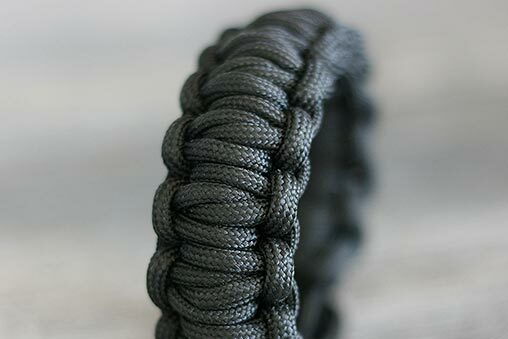 Each paracord product is hand made and is done in Germany. 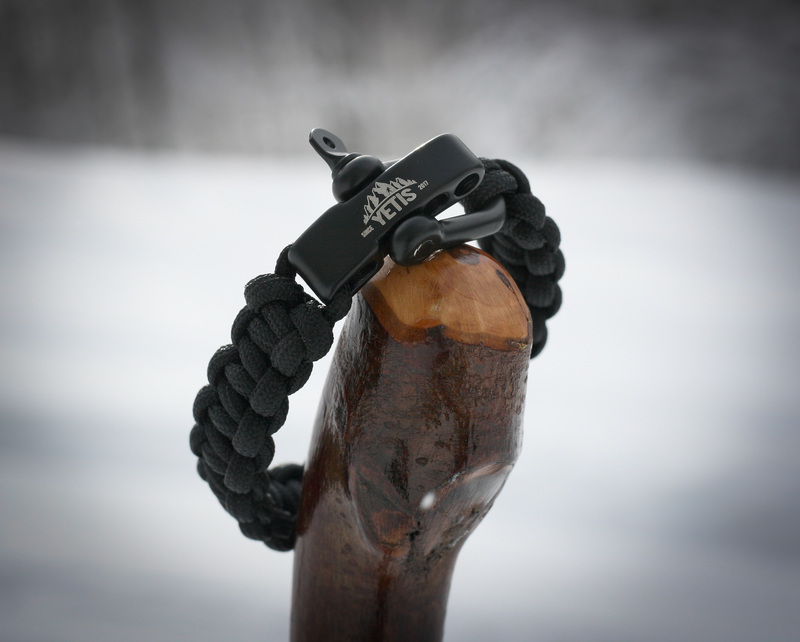 We only use high quality original Paracord Type III 550, which holds about 550 lb. Our bracelets are timeless accessories, they don't rot and dry very fast. They can last a life long. They are fashionable and are a complement to every outfit in every situation. We offer them in different colors. They can be used on any occasion: In your everyday life or during your adventure outdoors. You always carry a rope with you, which can be helpful in any situation. 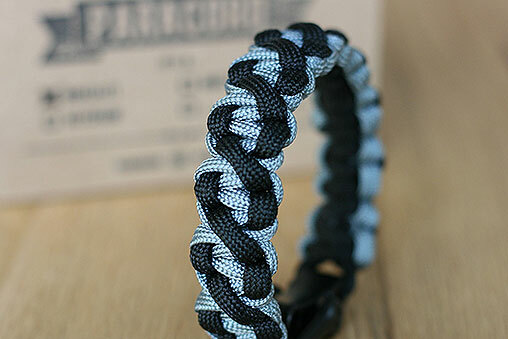 Each paracord pruduct comes in a recyclable cardboard box. We place importance on clean knotted and manufactured products. Nothing will leave our workshop when it has just the slightest flaw. It is out endeavour to set our product apart from others. So we are always improving even small details of our products. 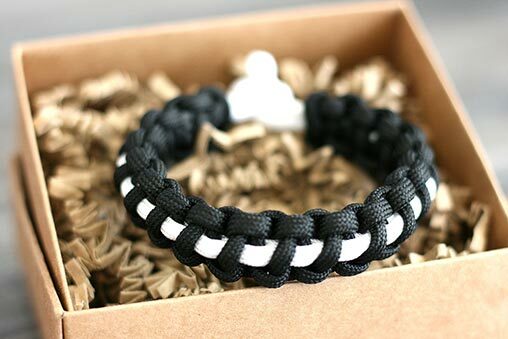 Our bracelets for example are done with no visible burned endings. Some knots don't allow this technique, but we can achieve this most of the time. 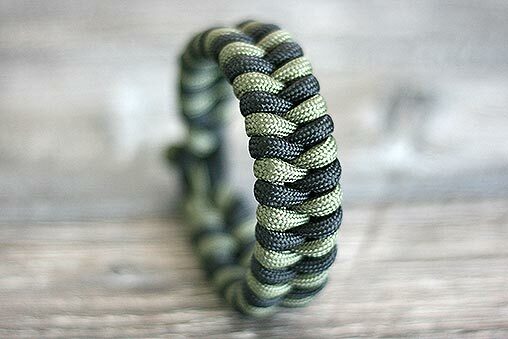 Parachute cord (also paracord or 550 cord when referring to type III paracord) is a lightweight nylon kernmantle rope originally used in the suspension lines of parachutes. This cord is useful for many other tasks and is now used as a general purpose utility cord by both military personnel and civilians. This versatile cord was even used by astronauts during the 82nd Space Shuttle mission to repair the Hubble Space Telescope. The braided sheath has a high number of interwoven strands for its size, giving it a relatively smooth texture. 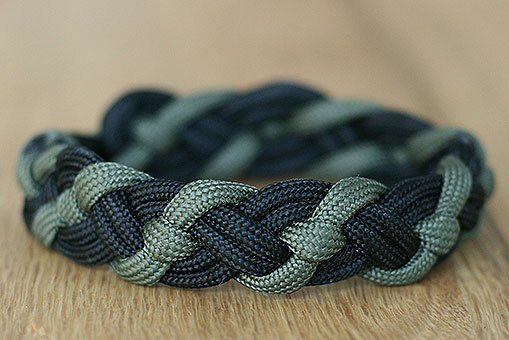 The all-nylon construction makes paracord fairly elastic. 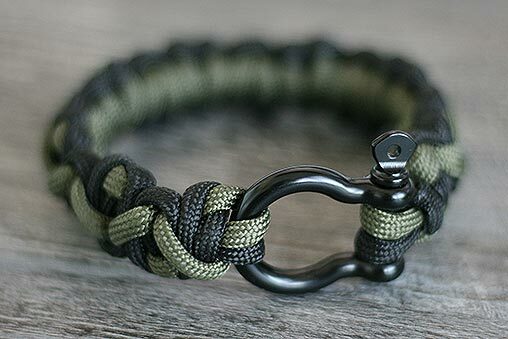 Bracelets made of paracord can be used in many different situations. You can wear it everyday in your urban or outdoor life and use it if your adventure demands it. Just untie it and you have an app. 3.5 meter long strong rope.